When we hear about Artificial Intelligence (AI) we tend to imagine the likes of Asimov, SkyNet and Westworld – robotic intelligence in humanoid form. While, sadly, most of us have yet to interact with super-smart robots or receive cybernetic enhancements – AI is becoming an increasingly real part of our day to day lives; especially in business. Outside of science fiction, AI is more often found in the form of background algorithms which process data to accomplish relatively mundane tasks quickly. These tasks can include anything from recognising speech and analysing patterns of behaviour through to uploading information in software like ours. As the name suggests, a true AI system is one that can learn on its own and adapt to changing circumstances. Here at inniHQ, we’re always on the lookout for new innovative ways to grow and provide the best possible service to our clients. You might have noticed – anything about new tech always has us excited so we’re thrilled to have the opportunity to further incorporate the latest AI techniques into our software. The addition is far from a fad that ‘sounds a bit cool’ though. Across an array of businesses, AI has already proven effective at automating repetitive tasks for the likes of salespeople and small business owners, allowing them to spend more time on the more creative aspects of their roles. We know we can do the same for independent professionals when it comes to their accounts. So, we’ve established an ongoing research project examining the applications of AI in automating accounting tasks for our clients. We believe there’s massive potential for AI to minimise repetitive monotonous tasks, leaving our clients with more time to focus on what’s important – building their business. Over the next few months, we’ll be keeping you up to date with our latest findings and launching new features with AI integration (which we think does sound a bit cool). In the meantime, we’ve already integrated AI into our expense importer as a first step. 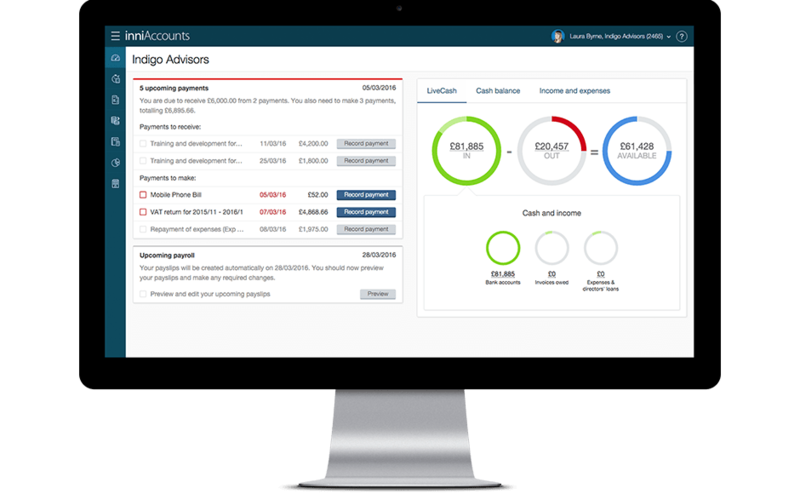 We’ve built new intelligence into the software that will analyse your expenses files and automatically help you to complete all the necessary details. The AI leverages our existing data and learns how to categorise expenses automatically, radically reducing the time taken during bookkeeping. The more this feature is used, the more it learns. You can read more about our new expense importing feature here. Be sure to keep an eye on our Blog and Twitter for more updates on our AI research project as well as any new features we’re working on. Have a great idea? Think there’s something we can do to speed your bookkeeping up? Drop us a line. Great work .. keep it up !